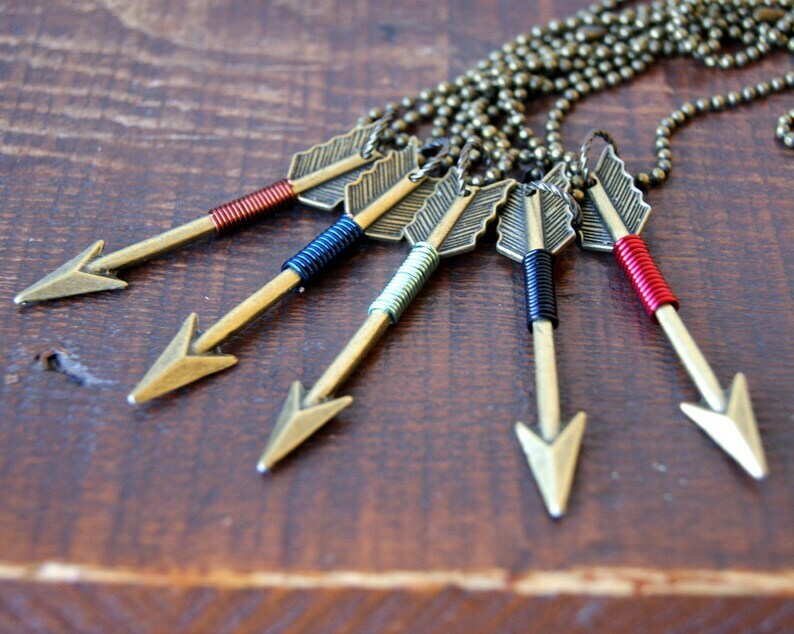 Antiqued bronze arrow, wrapped with wire, hanging from an antiqued brass faceted ball chain or cable chain. Ball chains close with a ball chain connector. It can be seen in the 6th photo. See cable chain in the last photo. Arrow measures 2 1/2" or 64 mm . Choose from black, brown, navy blue, red, mint green or yellow. Yellow can be seen in the 5th photo.